The Rebel Sweetheart. : Spotlight | NLIHome Honey Soap. Earlier this week, I raved about the Essence Cushion from an up and coming Korean cosmetics brand, The Cellin. 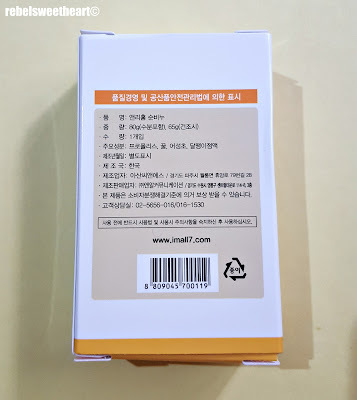 The brand is manufactured by NRCommunications of Korea, a distribution company which has been business since 1999 and the same company which produces and distributes NLIHome products. NLIHome is a lifestyle brand which carries personal hygiene and home care products made with natural ingredients and eco-friendly materials. Among these is the Honey Soap, one of NLIHome's bestsellers. Hangul text at the back. I reckon these are the product descriptions. Honey has long been a popular additive in soaps and other skincare products, and rightfully so. For one, it's a natural humectant, which helps retain skin moisture. It also has antibacterial properties, which can help clear acne and prevent future breakouts. In addition, honey is a chock full of polyphenols, an antioxidant that protects the skin from free radical damage. 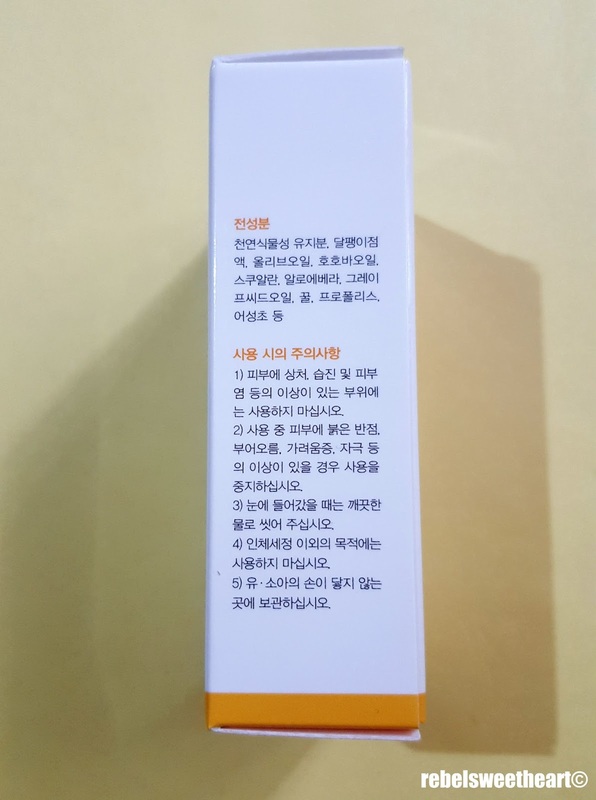 More Hangul text on this side. 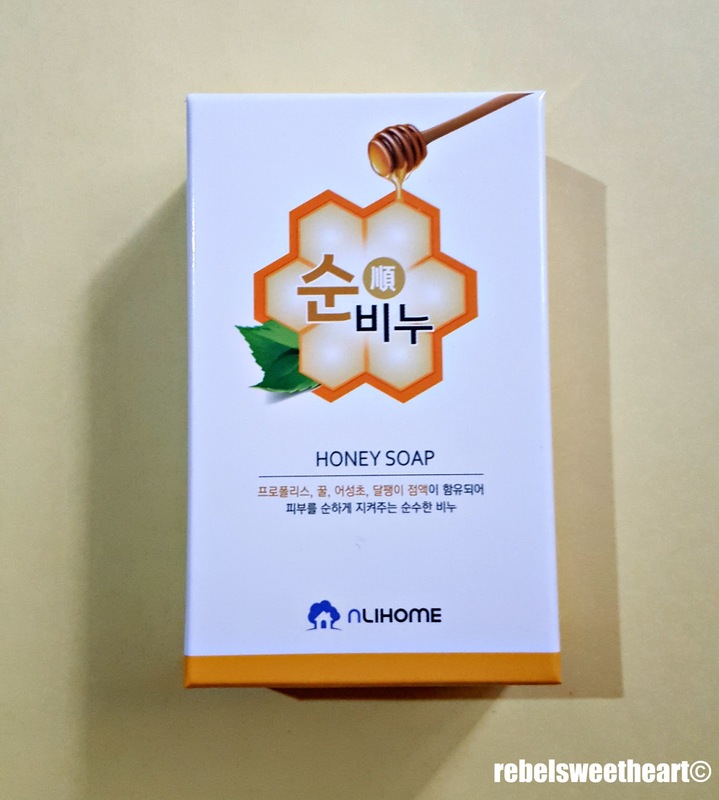 Now aside from honey, this soap also contains propolis, dokudami (also known by its scientific name Houttuynia cordata; a medicinal herb famed in Asia for its health benefits), and snail secretion extract (packed with hyaluronic acid which increases skin suppleness and improves skin texture), among others. 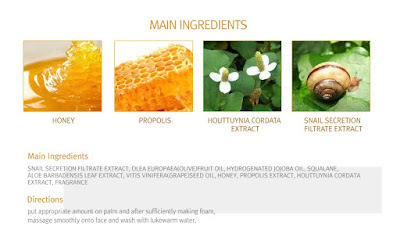 Main ingredients of the NLIHome Honey Soap. As seen on the NRCommuncation website. 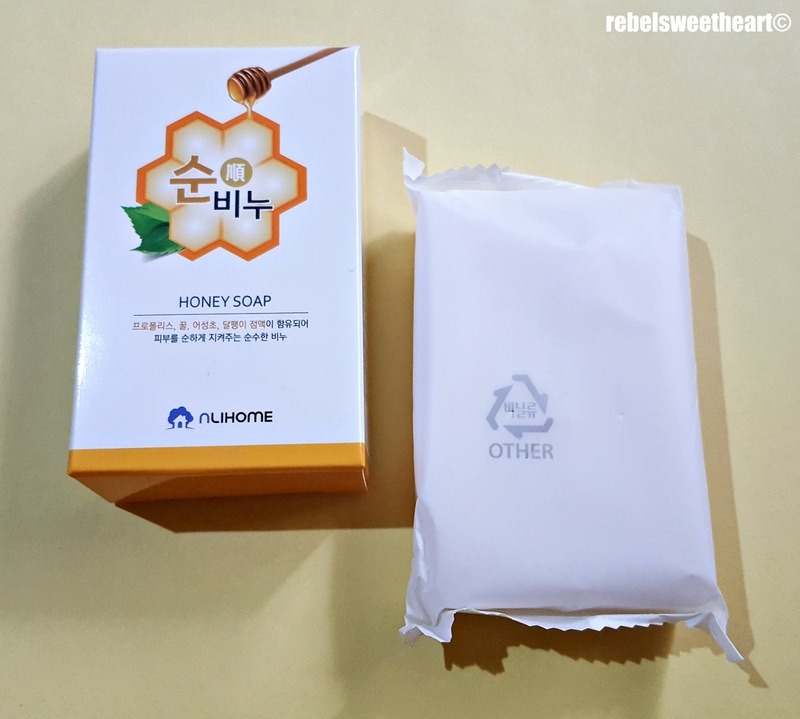 Do note that most of the text in the soap box is written in Hangul, so I had to refer to the internet for the complete list of ingredients for this Honey Soap. Thankfully, I found them on the NRCommunication website, along with other details about the product. 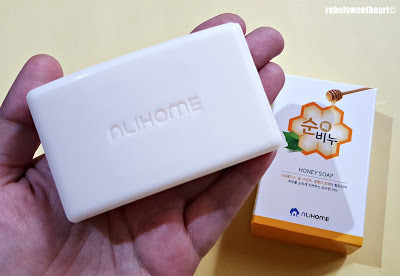 Unboxing the NLIHome Honey Soap. The NLIHome Honey Soap comes in an 80 gram box. Inside it is an opaque plastic pouch which contains the bar of soap. The NLIHome Honey Soap, unwrapped. Although there's nothing fancy about how the soap looks - rectangular in shape, fits the palm of my hand, has the NLIHome logo carved on the center - its scent is quite noteworthy. It has a sweet and nutty scent that's not overpowering but lingers on the skin even after bathing. It lathers quite well and rinses off completely without leaving a filmy residue on the skin. Fits the palm of my hand. I've used this on my face too, and I love how this mild and gentle soap cleanses thoroughly without the drying feel. 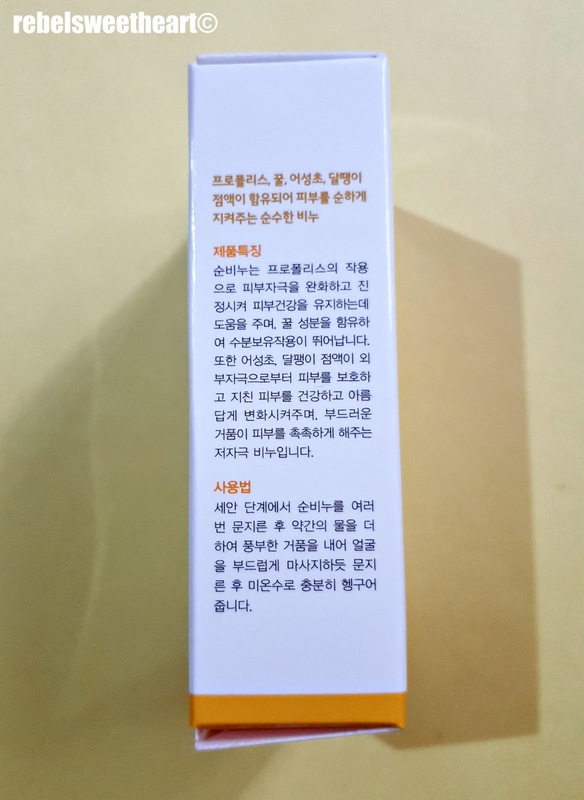 I've been using this product for a little over two weeks now, and I love how this soap 'calms' the occasional red blotches on my face, which acts up whenever the weather is too hot and humid. That being said, this soap is safe even for those with sensitive skin. Kids and babies can use this soap too, but please do a patch test first just to be sure that your little ones are not allergic to honey or bee by-products. Yue uses this soap, too. He's enamored with the scent and loves bathing with it. 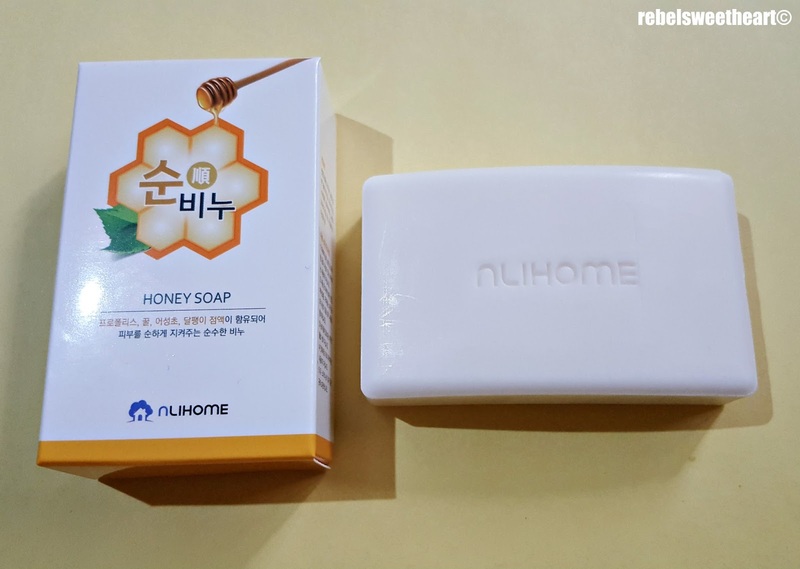 The NLIHome Honey Soap sells for Php 130 each and can be bought online through The Cellin Cosmetics Facebook page. This soap is very effective for skin. I never used to forget to bring for myself. According to me it is one of the best soap as it makes my skin soft.I must says that no other soap is as good as this one . It contains honey , milk which is good for skin. I'll bet that smells good! 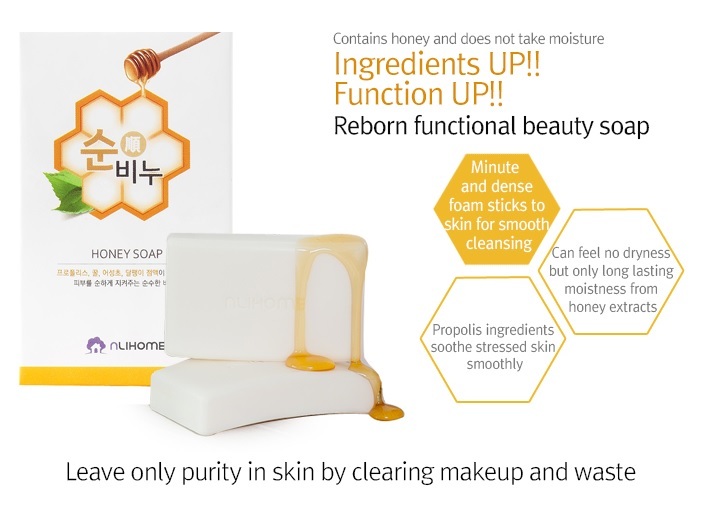 I don't think I have any skincare products with honey in them...might be good to try this! I'd probably love the smell! Problem is that it would make me hungry! OOHHH Honey is honestly one of the best things ever. I love how soothing it is, I can only imagine how amazing it is on skin! Totally love gentle soaps because I have sensitive skin! I think this is awesome and a must try! I like that it's not so small too. Are these products available in the US? I've tried some products in the past and liked them. Hello, i just ordered this soap online for my sister. Just wondering.. Is this soap safe for pregnant? I want to use too but I'm confuse even if it is an organic soap. Please please response to my message. Thank you!